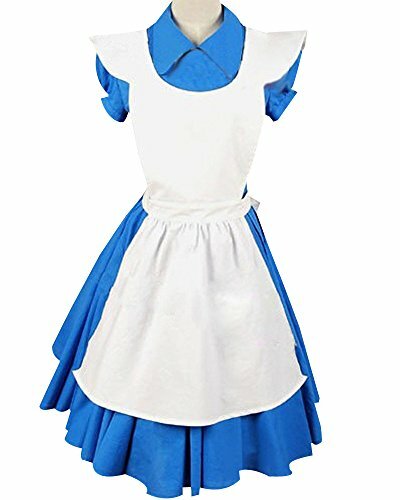 ALICE IN WONDERLAND – Whether it’s for your Halloween costume or just for funâ€¦ you are going to love dressing up like Alice with these beautiful long golden curly locks. THE HEADBAND: This Alice in Wonderland wig comes with a black headband just like Alice wears in the movie. Don’t want a headband? No problem. You can wear this wig with or without it. 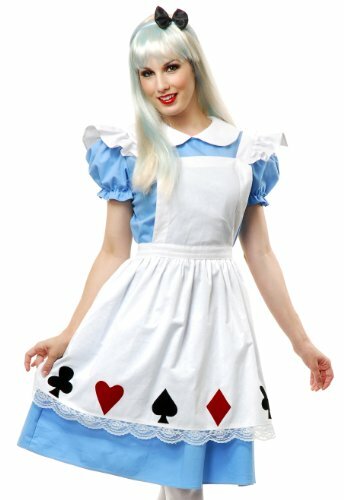 COSTUME PARTY: Celebrate your child’s birthday in style with an Alice in Wonderland theme party. This Alice wig is perfect for a Halloween costume or any other costume parties. EASY COSTUME: This beautiful blonde wig is a great costume accessory or simply an easy costume by itself. Wanna go all out? Throw on a blue and white dress and you’re ready to go!